What a day we had today!!! Royse City held it's annual Bash. 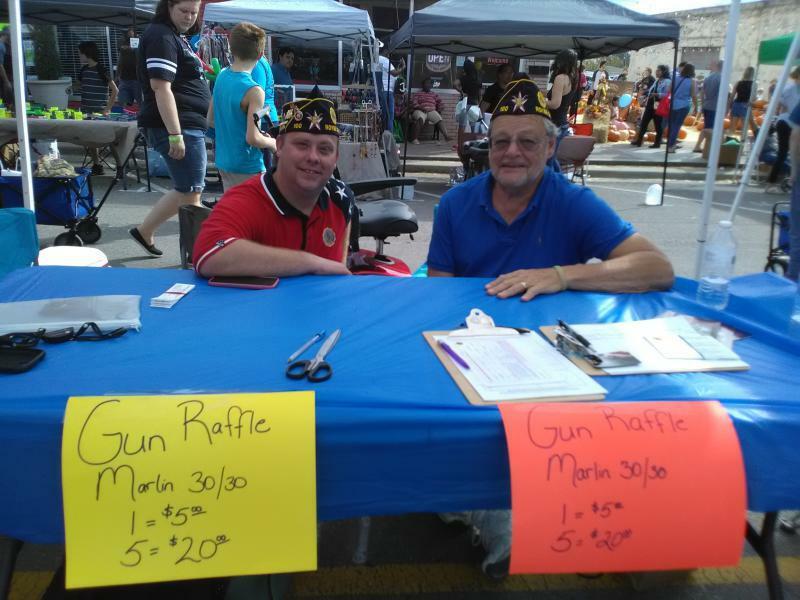 Funfest was a lot of fun and our post used it as an opportunity to raise money through our raffle and also gave us an opportunity to speak to veterans. First and Foremost I want to thank everyone who came out and volunteered part of their day helping us. Matthew Dickson and his wife Jennifer, Tabatha Mueller, Donald Weitraub, and Christy Castleberry. We also saw other members of our post Jessica Masters, John and Cindy Schwarzkopf. First we sold all of our raffle tickets so that was a great accomplishment. Second we spoke to numerous veterans. I talked to a member of the ghost post in Austin and he seemed interesting in joining our post. 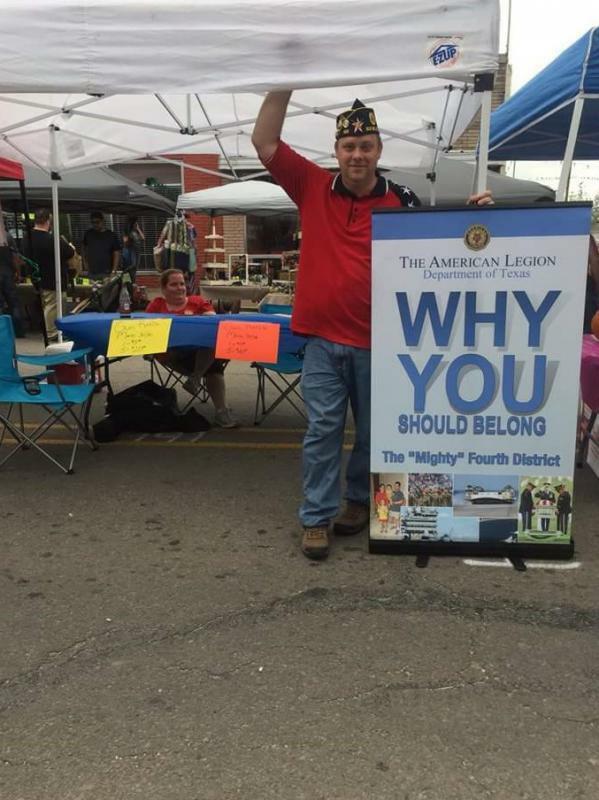 We did get two new members to join our post Lucas Logston and Kevin Gerhold. I want us to welcome these new members to our post. We did find a veteran who was in need of assistance with a disability claim and I will send him our county veterans rep's information so that she can assist him. All in All it was a great day for our post. 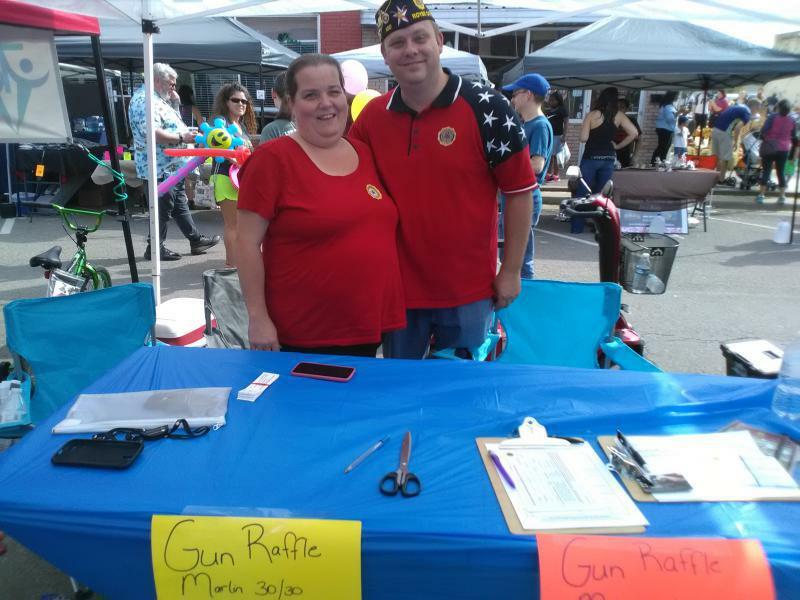 We made money from our raffle, talked to numerous veterans, had two new members join our post and we found a veteran in need that we can assist.